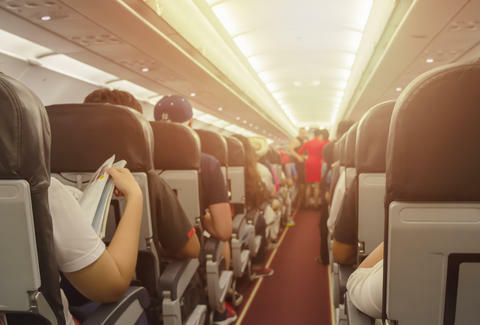 There are many things you're asked to do when arriving for and sitting on a plane. Most of them aren't explained and the reasons for them aren't always clear. By the time the plane is landing and the flight attendant asks you to lift the window shade, it feels like they're just messing with you. However, like most regulations, there's a good reason for what might feel like just another indignity. It's a safety measure that becomes important in a worst-case scenario. There are two main purposes it serves, according to Traveler. The first is providing clear lines of sight outside the plane allows the flight attendants to assess the situation and direct passengers to the safest exit. It also allows natural light to fill the cabin and forces passengers' eyes to adjust to the light. The last point is more important than you might think. Traveler reports regulators require a plane to be evacuated in 90 seconds in the case of an emergency. If there's an accident and the passengers and crew have to rush out of a dark plane, the sudden flood of sunlight may become disorienting and slow the evacuation process. Yes, it's just a few seconds, but if you have only 90 seconds to get everyone to safety, those few seconds matter. Even if it's interrupting your nap, cut your flight attendant some slack on this one. You hope nothing bad happens, but if it does, raising your shade is a smaller inconvenience than meeting your doom in a fiery fuselage.